This book recounts what must be one of the most unusual intellectual journeys of modern times, in which the influential philosopher, cultural theorist and occasional pornographer Georges Bataille (1897-1962), having spent the early 1930s in far-left groups opposing the rise of fascism, abandoned that approach in order to transfer the struggle onto "the mythological plane." 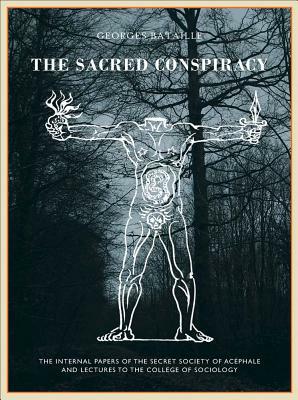 In 1937, Bataille founded two groups in order to explore the combinations of power and the "sacred" at work in society. The first group, the College of Sociology, gave lectures that were intended to reveal the hidden undercurrents within a society on the verge of catastrophe. The second group was Ac phale, a genuine secret society and anti-religion whose emblem was a headless figure that, in part, represented the death of God. Until the discovery a few years ago of the group's internal papers (which include theoretical texts, meditations, minutes of meetings, rules and prohibitions and even a membership list), almost nothing was known of its activities. This book is the first to collect a representative selection of the writings of Bataille, and of those close to him, in the years leading up to World War II. The texts published here comprise lectures given to the College of Sociology by Bataille, Roger Caillois and Michel Leiris, essays from the Ac phale journal and a large cache of the internal papers from the secret society. A desperate narrative unfolds, wherein Bataille risked all in a wholly unreasonable quest--with a few fellow travelers, he undertook what he later described as a "journey out of this world."